You probably hear about this oil for the first time and all you can think about is how to pronounce its name. Better think, why pracaxi oil is a favourite of the exclusive brand – Kerastase. What are its properties? Why should you use it in hair care? Pracaxi oil has nutty scent and light yellow colour. Natural pracaxi oil has wax consistency in the room temperature. It conditioning and healing properties are incredible. Pracaxi is a common name for tropical plant called Pentaclethra macroloba, that grows in moist and sunny regions of South America. This always green tree can grow up to 35 metres high. In the flowering period, visible are small flowers with violet petals. In spite of fact that in the inflorescence are about 200 flowers, there is only one fruit that appears afterwards. The seeds inside these fruits are the one used for obtaining pracaxi oil. How does pracaxi oil work? 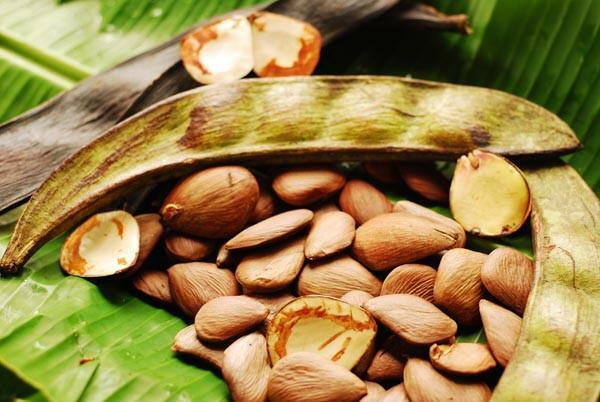 For ages it was used by the indigenous Amazonia residents due to its healing properties. Currently, pracaxi oil is used as a great supplement for hair conditioners. It is often an ingredient in ecological cosmetics. What are its properties? Makes combing easier and smoothers hair. Protects hair against split ends. Anti-inflammatory and calming impact on scalp. Prevents fungal infections resulting with, e.g. dandruff. What does pracaxi oil contain? Natural pracaxi oil is so frequently used in cosmetics for hair care due to very important reason. It consists of six times more behenic acid than, for instance, peanuts. In its composition are also strong moisturising substances such as lignoceric acid, lots of vitamins and minerals, which are also essential to hair.